We, as a solid hardwood floor specialists , will turn your home in a much nicer place to live by installing the best wooden flooring you can afford. 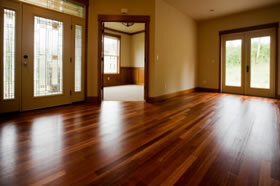 We are committed to supplying and installing the very highest quality hardwood floors. Having worked with so many architects and designers, we know that our customers want something different. Something that will set your home or building project aside from the rest. Something unique. Something special. Unlike any other flooring specialist companies we have an experience of providing the best service for our customers for a very affordable price.